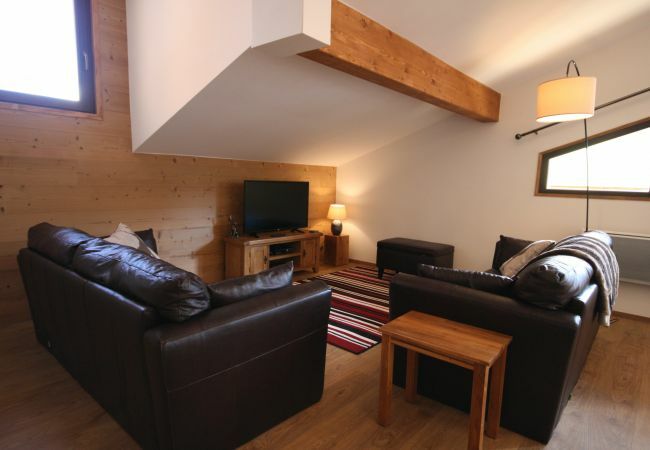 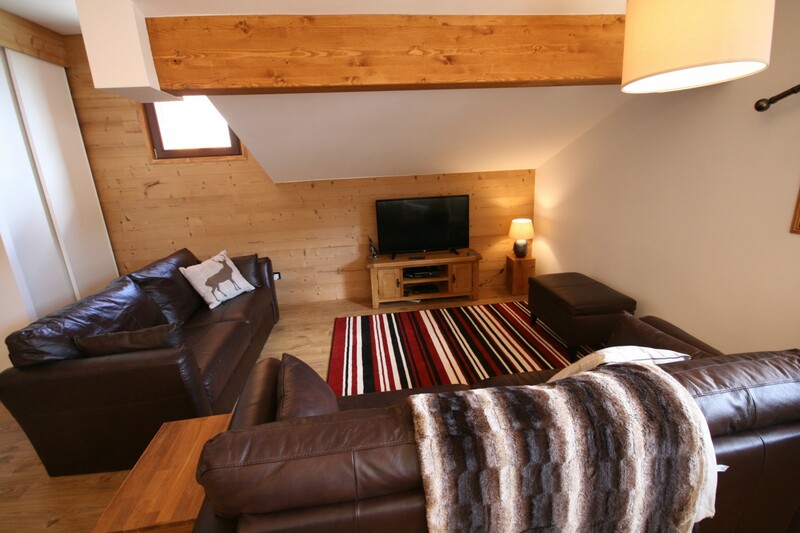 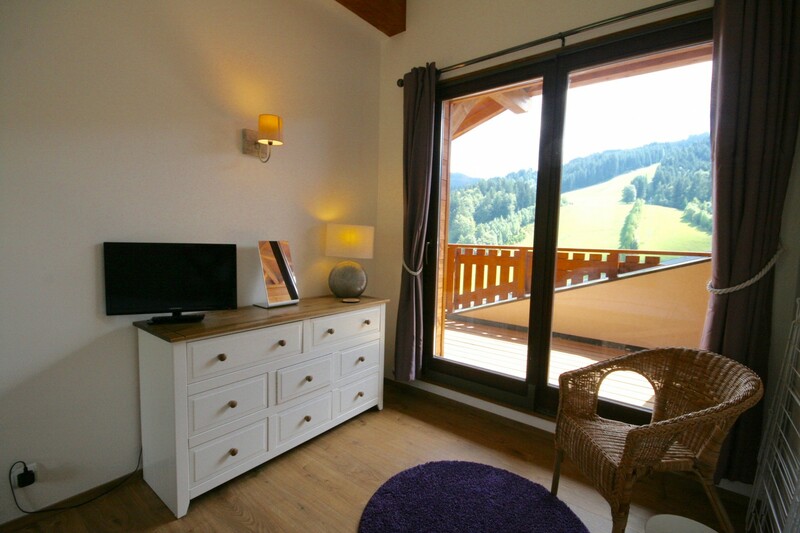 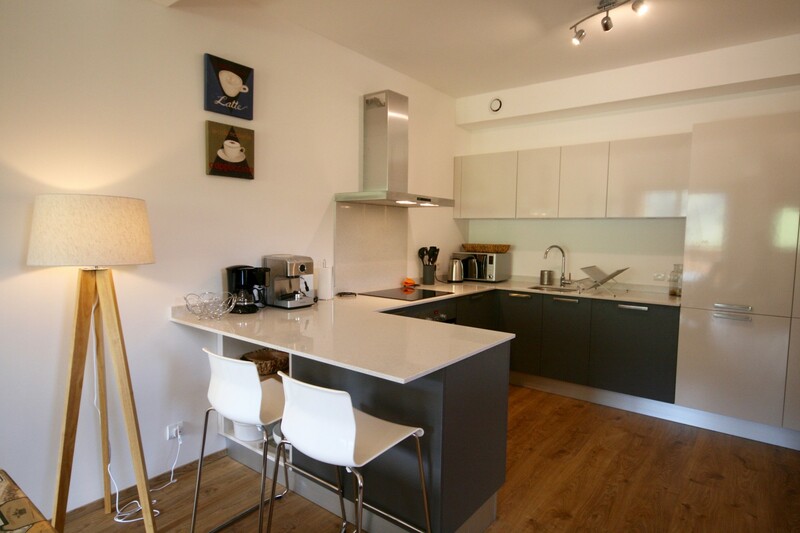 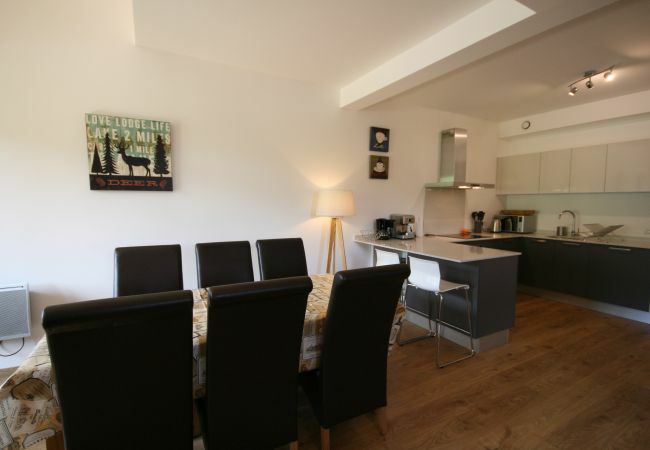 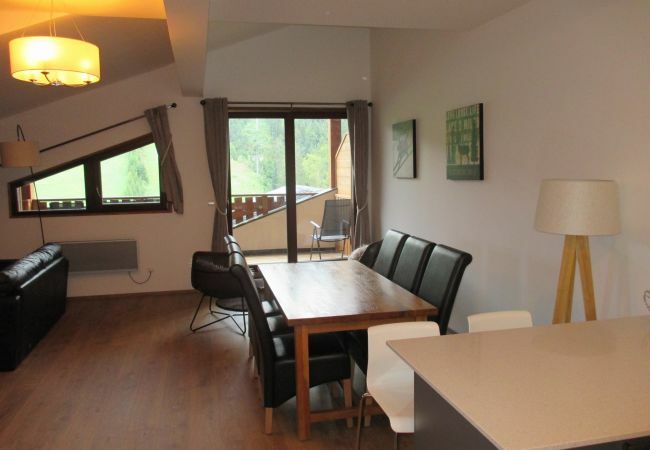 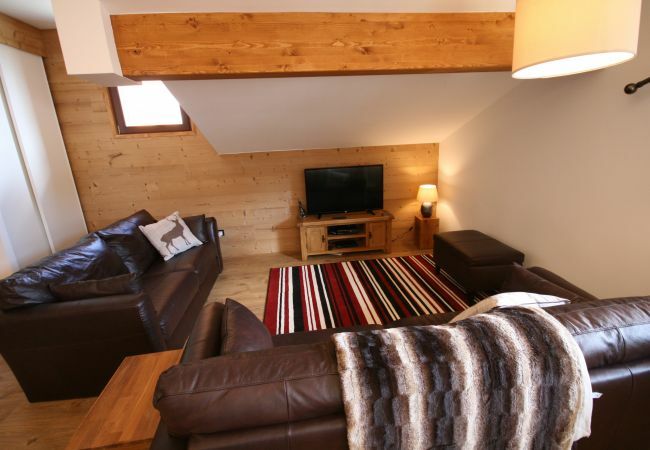 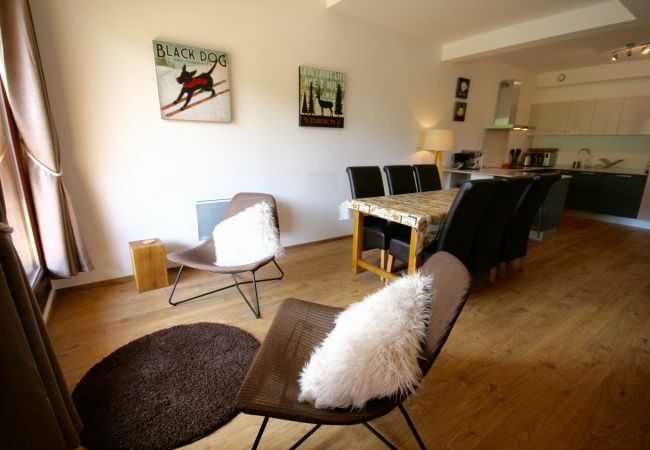 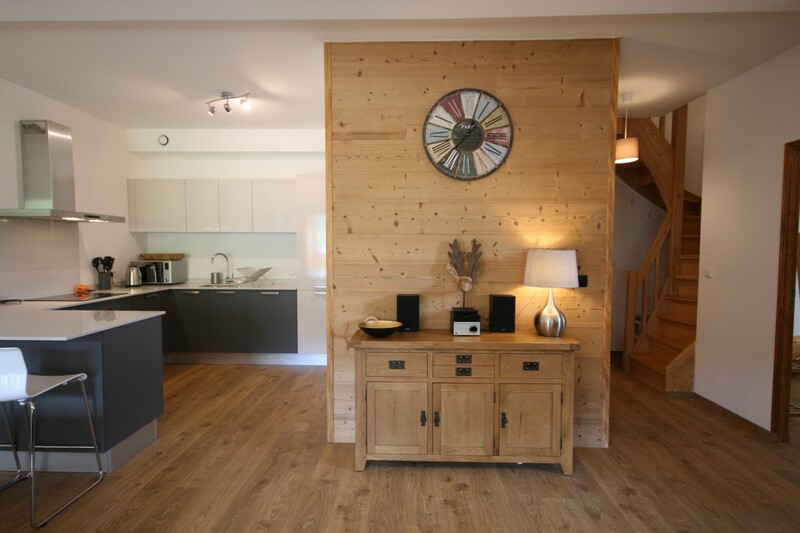 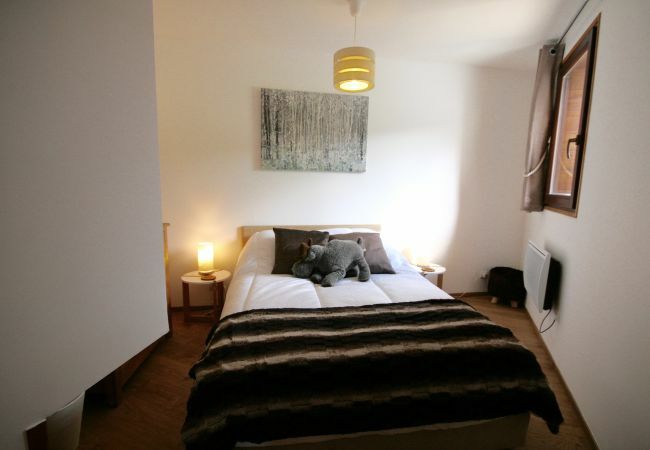 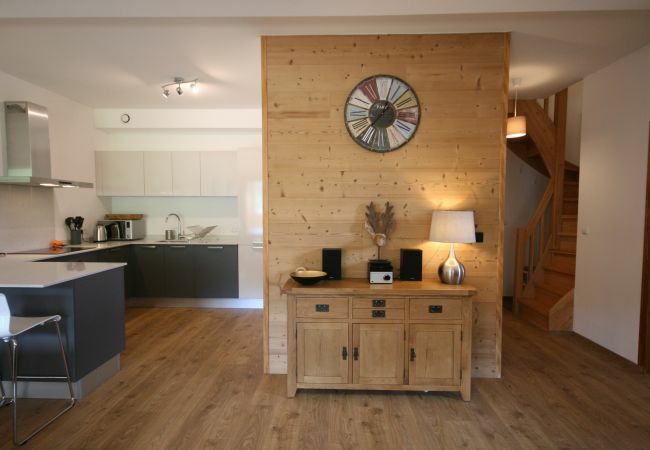 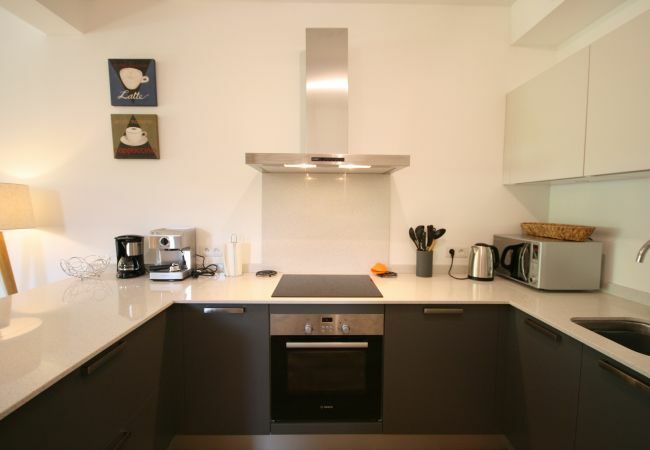 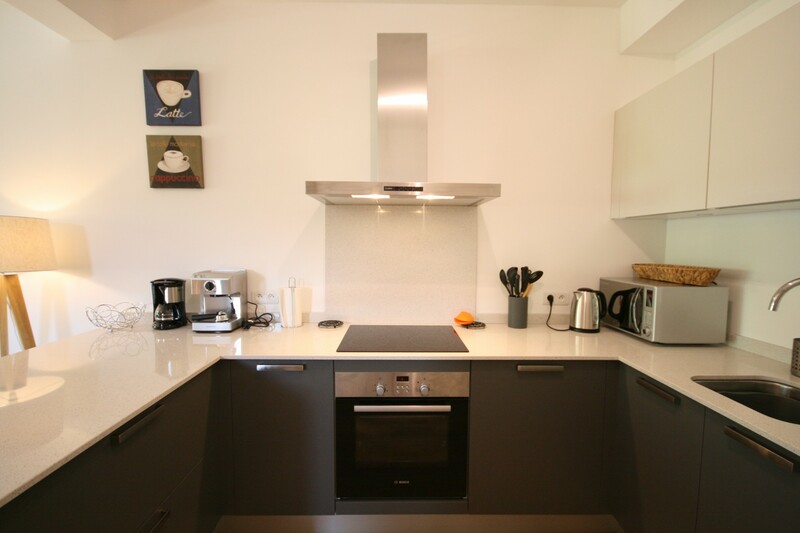 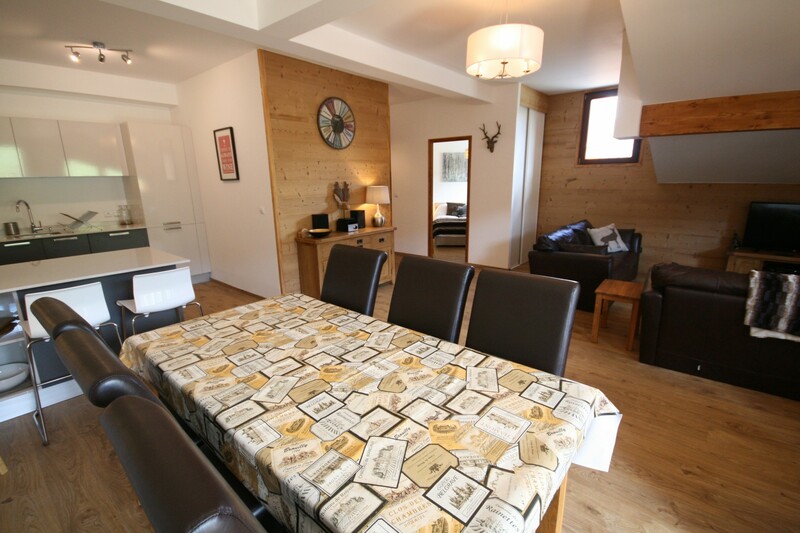 This is a brand-new, three-bedroomed apartment in Les Gets in an attractive and desirable block. 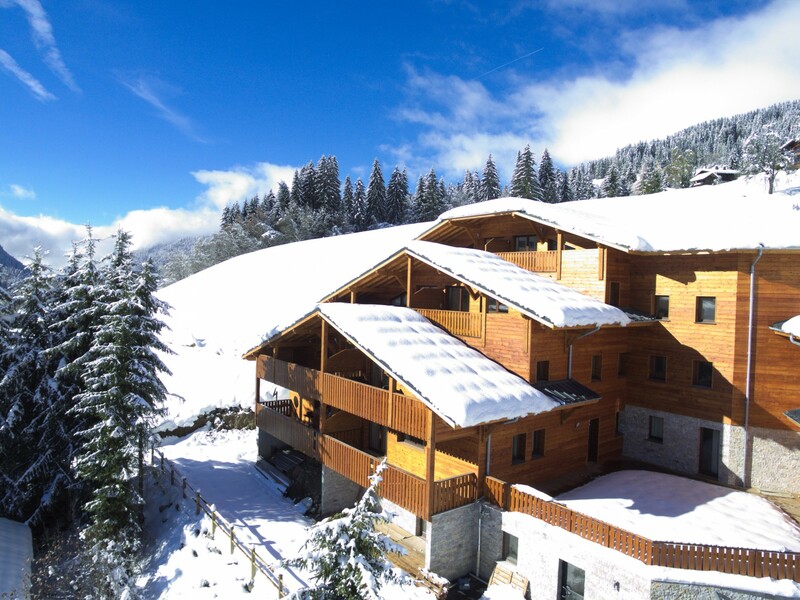 There is a small bar on the way to and from the pistes (le Chinfrey), as well as a small supermarket very close by (Sherpa). 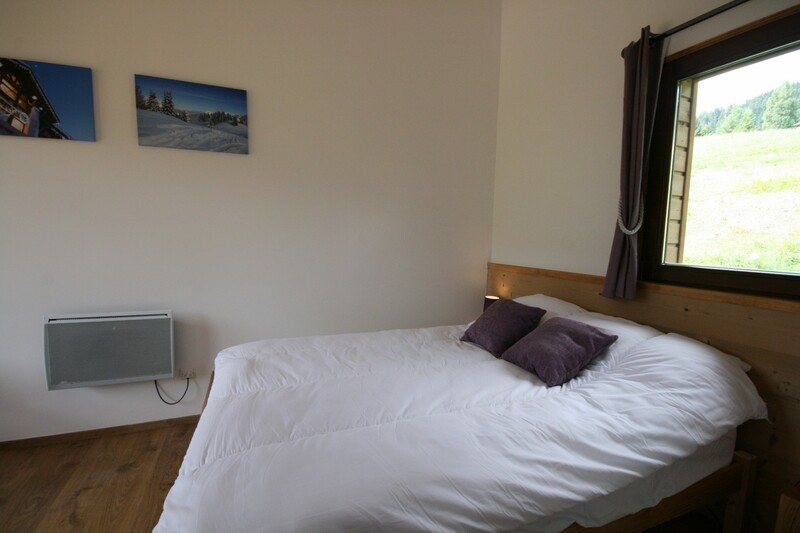 There is a free shuttle bus to the centre of the village, but to walk takes only ten minutes. 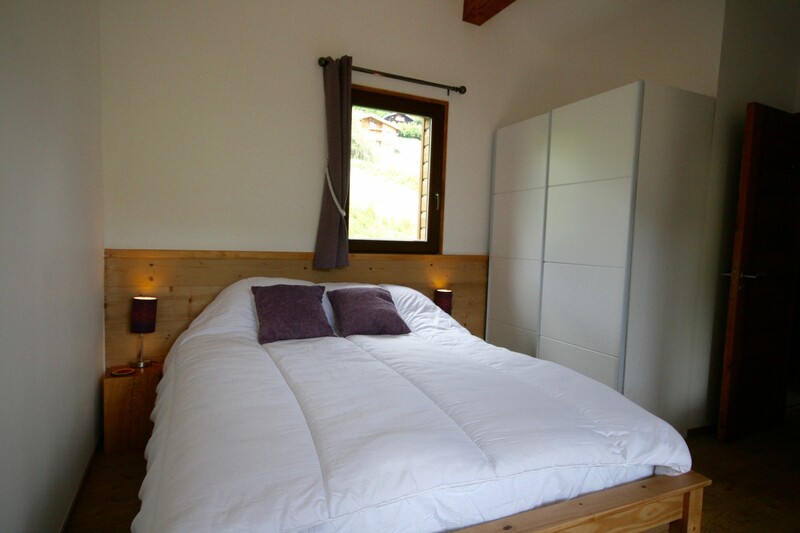 Just around the corner is the Fruitière de Perrières - where they make local cheeses and have a fantastic restaurant. 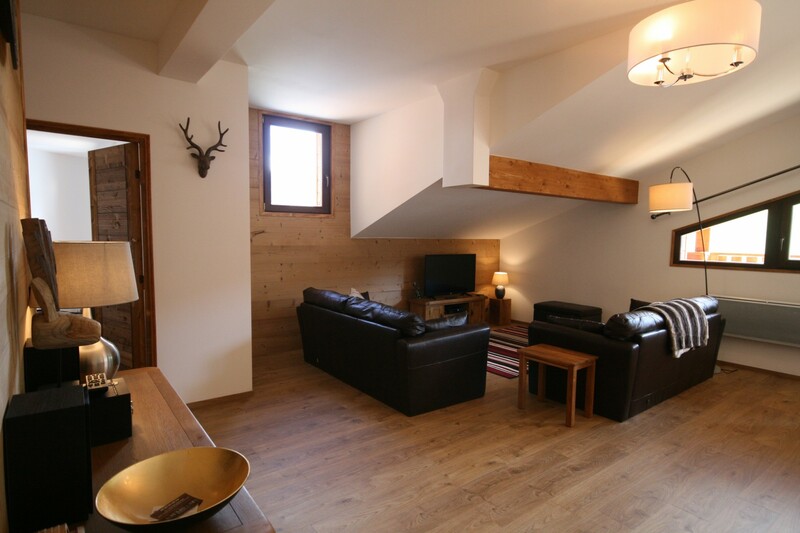 The apartment itself has an underground, dedicated parking space, and also a ski locker available to guests. 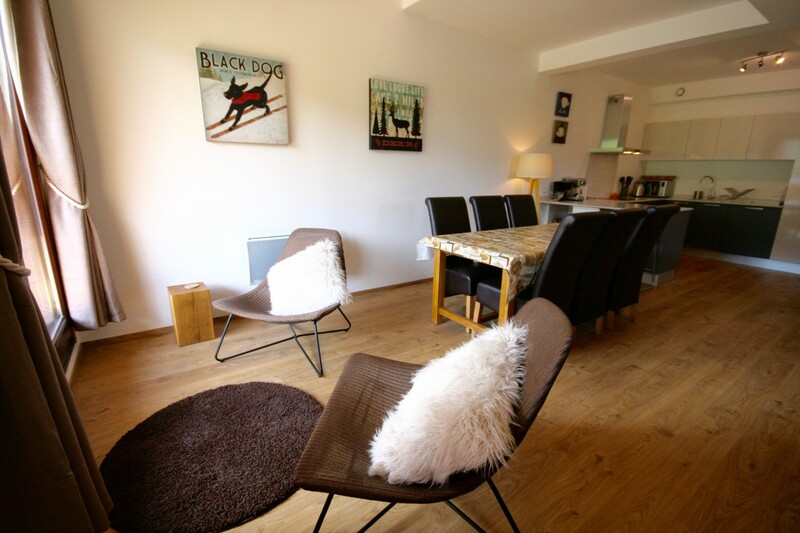 Bike storage can be arranged for road bikes for summer rentals. 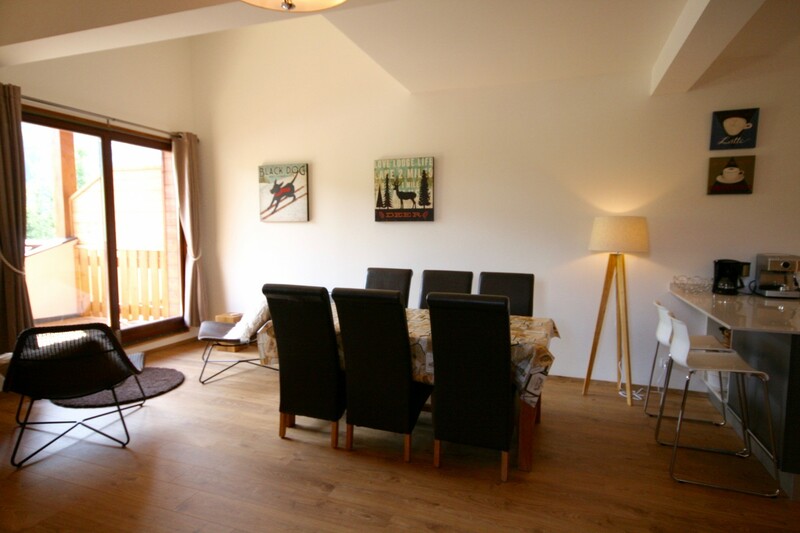 The apartment is located on the third and fourth floor of the building and has a South-west aspect, thus benefiting from plenty of sun. 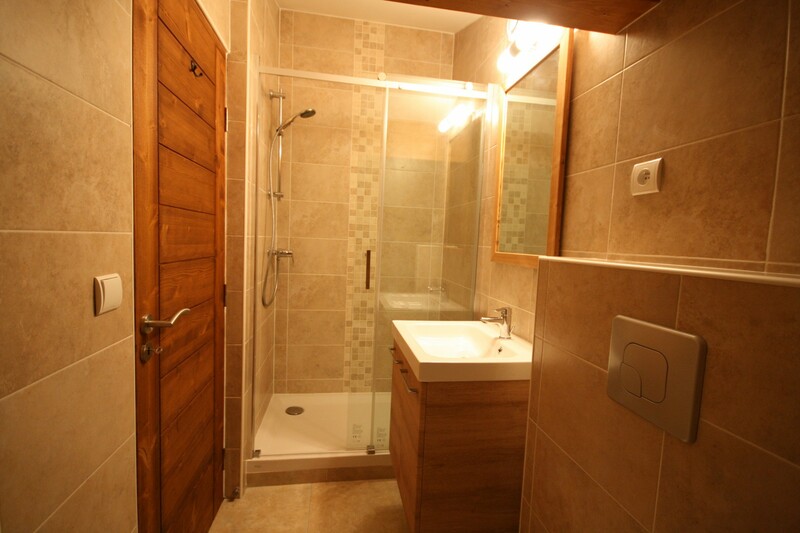 There is a lift in the building. Entering the apartment there is a WC and bathroom (bath with shower over) to the right and a double bedroom to the left. 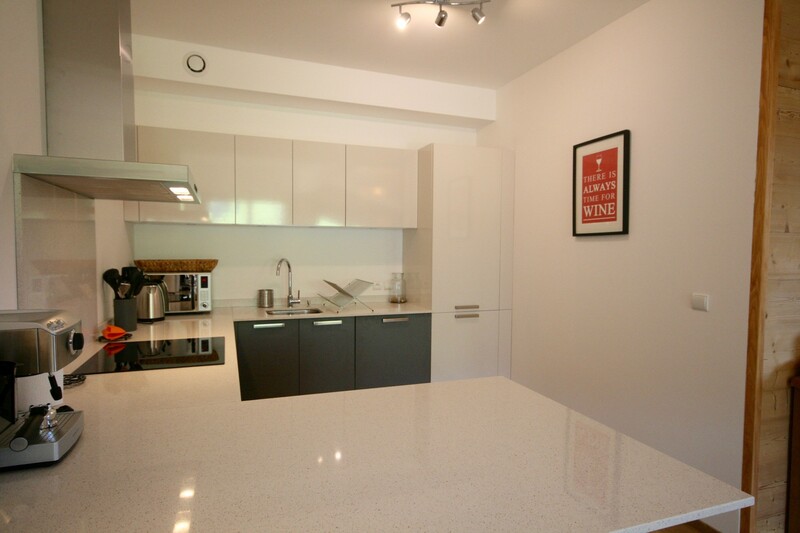 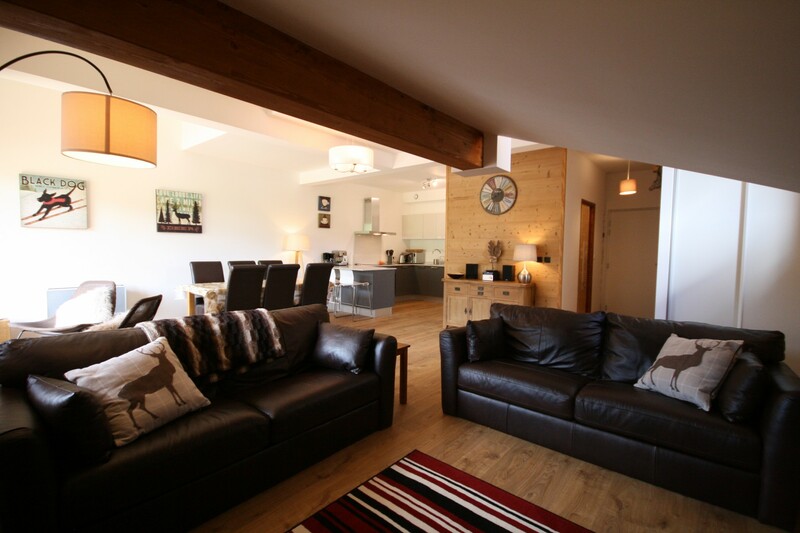 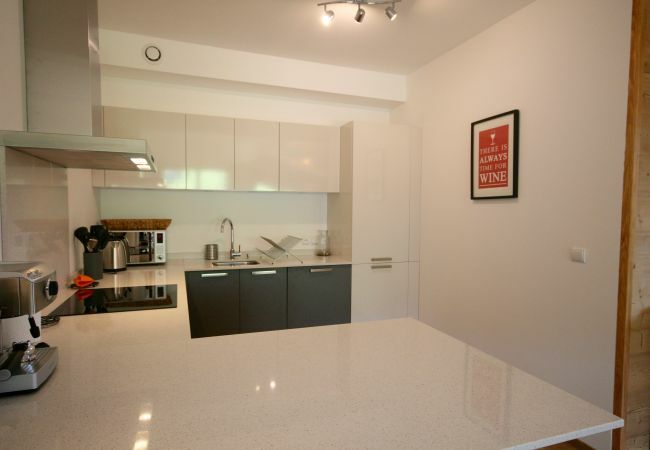 Ahead is the very spacious living area which is open plan to the high spec fitted kitchen and the dining area. There is a flat-screen TV with UK and French channels and and there is good, fast wifi throughout the apartment. 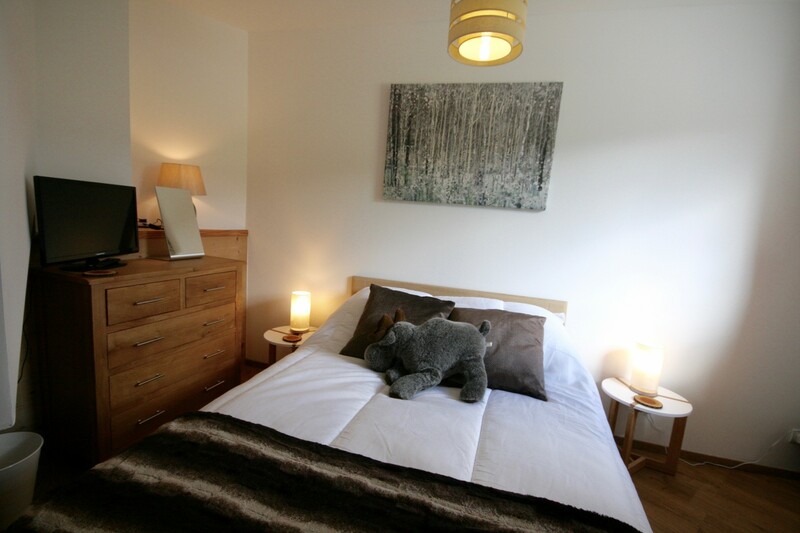 There is also an Xbox with some games available for guests use. 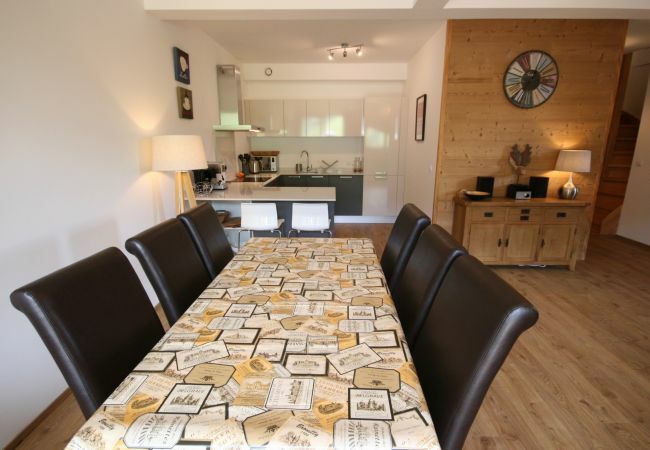 There is plenty of comfortable seating in the living area and the dining area has a table large enough for six. 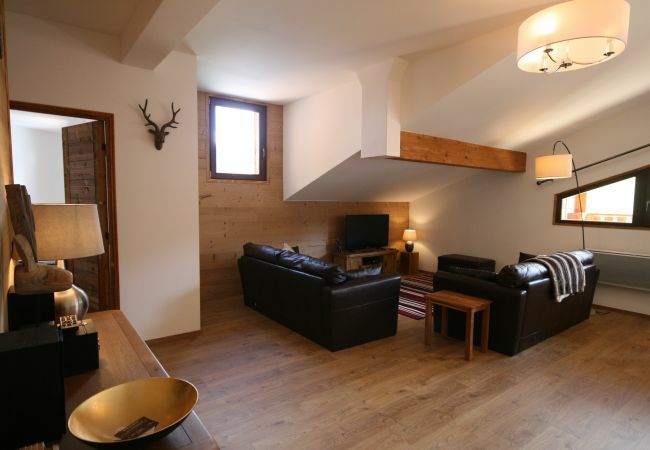 There is also on this floor access to a long balcony from which to enjoy the sunshine and watch the skiers on the pistes opposite. 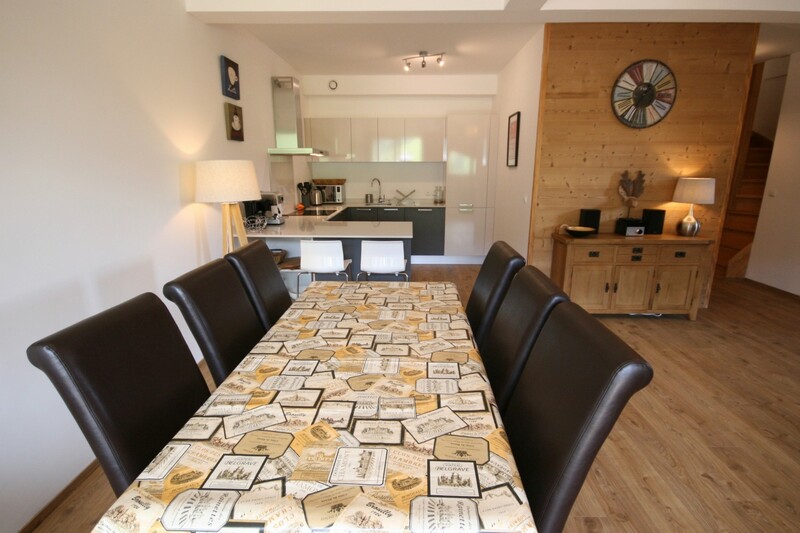 There are garden seats here and a table. Upstairs there are two further bedrooms, and a bathroom. 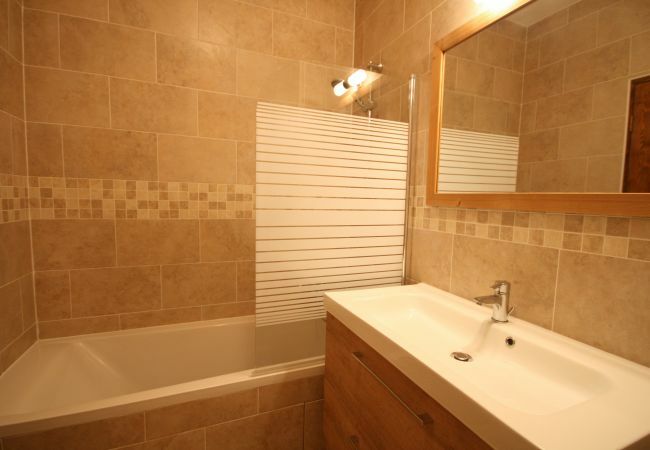 These two bedrooms share the bathroom, which has a shower, sink and WC. 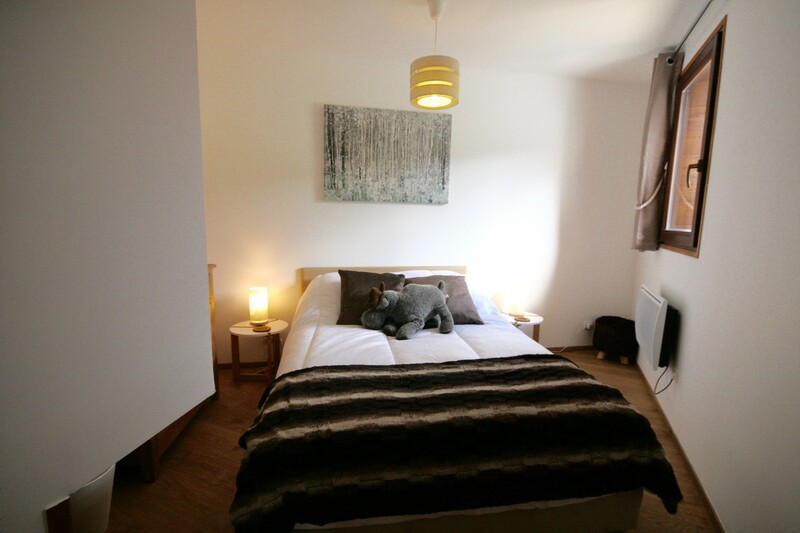 The first bedroom is a large, double height room with a king sized bed (150x200) and access to a balcony. 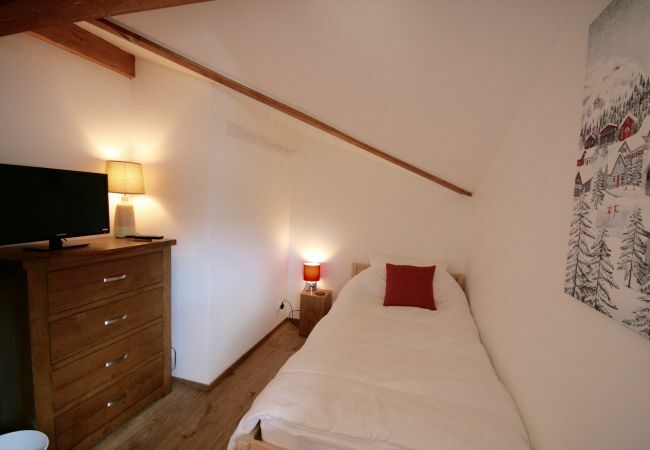 The second bedroom is a twin. 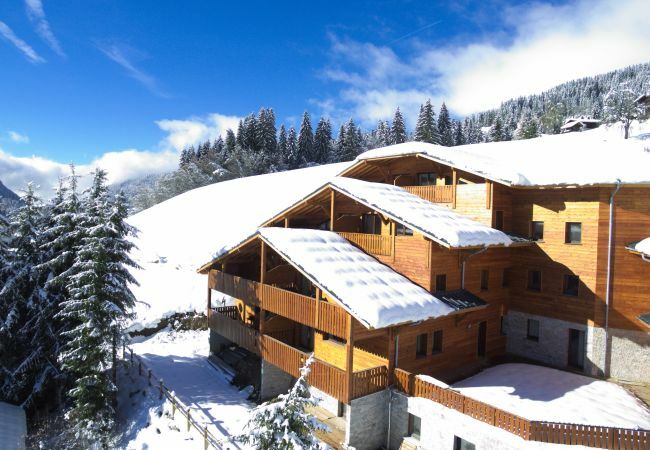 Accessing the ski slopes in the morning is possible either by walking to the slopes at Les Perrieres (about 4 minutes), walking to the village (about 9 minutes) or catching the free shuttle bus from the Perrieres stop. In the evening there is a paid shuttle bus service available. 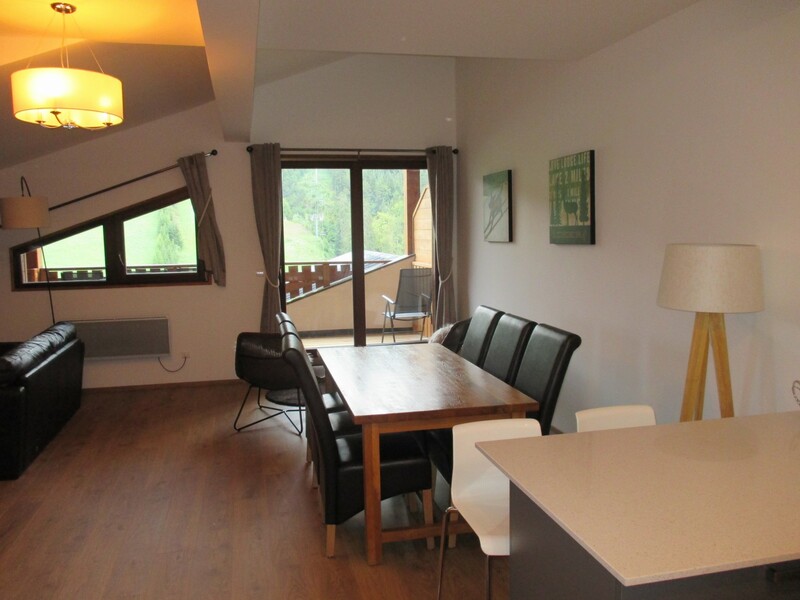 Like all of our properties Bois de Chêne is non smoking and pets are not allowed. 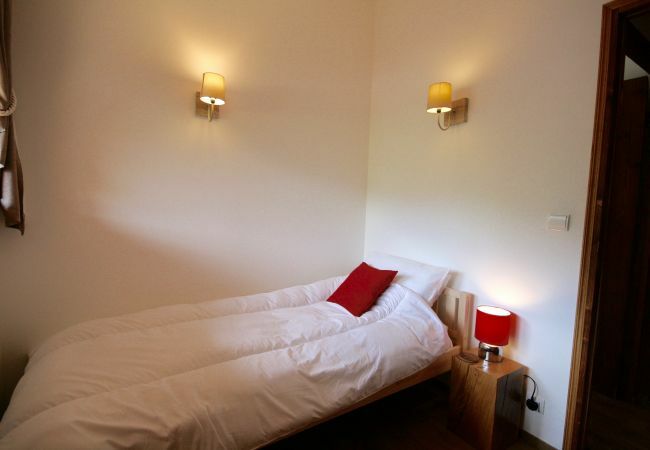 - 1 King size bed, 1 Double bed, 2 Single beds. 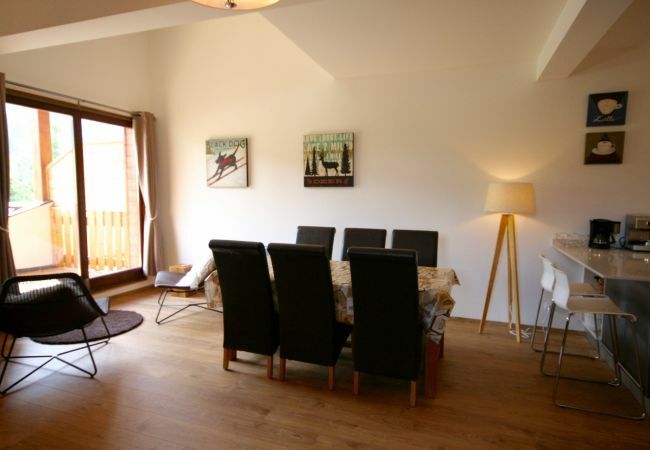 - 1 TV, TV Satellite (Languages: English, French), Stereo, DVD, 3rd floor, lift, garden furniture, 22 m² terrace, iron, internet (Wi-Fi), hair dryer, balcony, 85 m² property, 107 m² plot, electric heating, Garage in the same building. 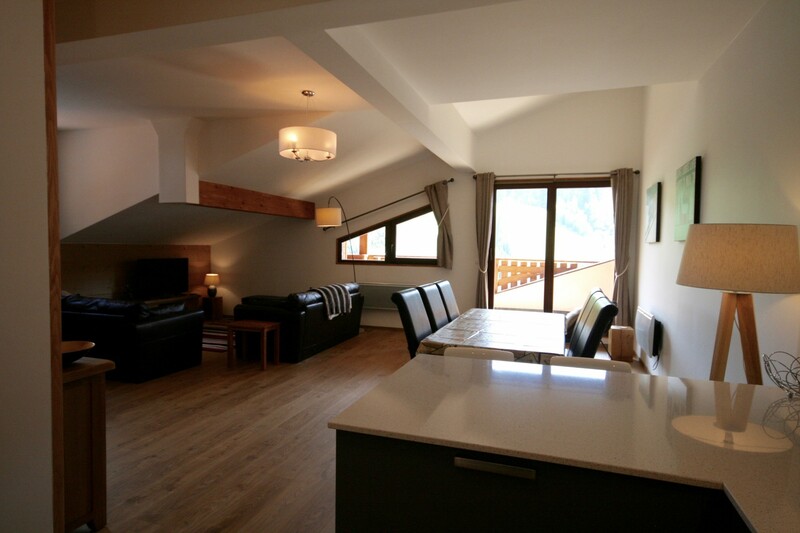 A top class apartment in a good location. 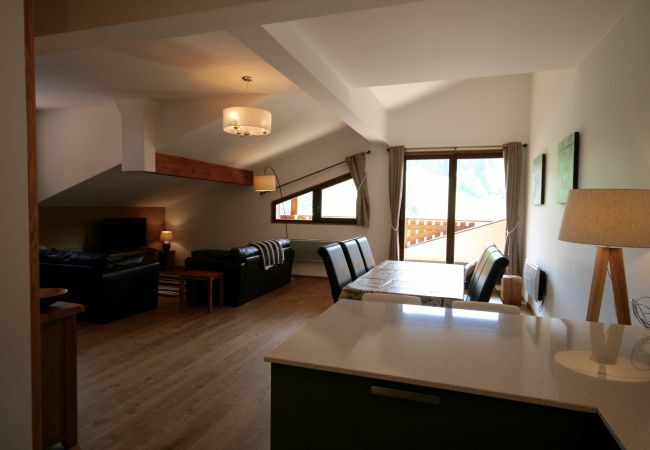 Ski hire shop, ski lift, bus stop and supermarket all very close by.